Colleran auctioneers is currently offering a very attractively priced three bedroom terraced home at No 112 Castlepark, Ballybane. The property has been maintained in excellent condition and has the added benefit of having had oil fired central heating installed together with double glazed windows and doors. Accommodation includes spacious sitting room with open fireplace, and a large kitchen/dining area. On the first floor there are three bedrooms, two doubles and one single, and a bathroom. There are front and back walled gardens with separate rear accesses to the back garden. 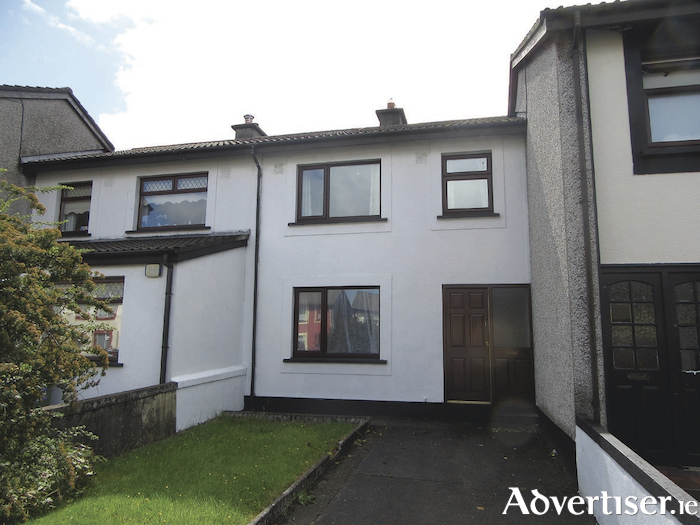 Due to its location, within walking distance of GMIT and industrial estates, and combined with its very attractive guide price, this property will be of equal interest to investors and first time buyers. Guide price is €150,000. Page generated in 0.0825 seconds.